I feel like my better side shows when I'm wielding a cast iron skillet. After a few month slump of feeling uninterested and uninspired in the kitchen - switching things up, namely simplifying, has me ready to get back to it. 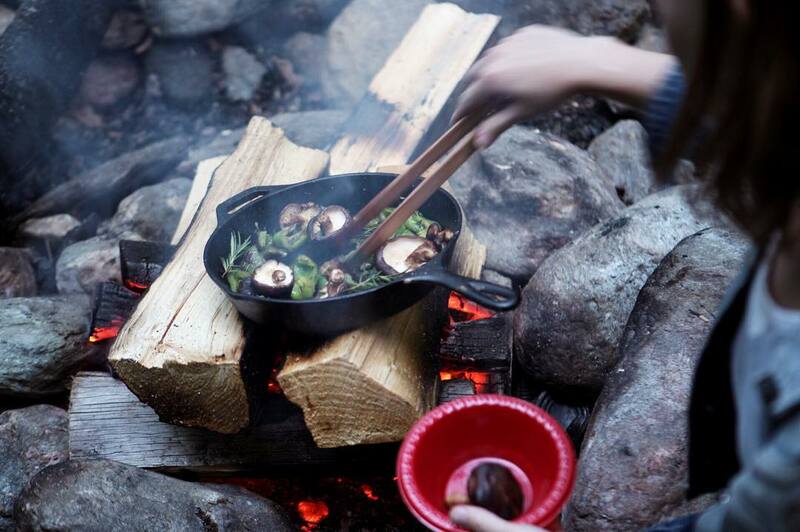 With only an open fire, cast iron skillet, kettle, some wooden utensils, a paring knife, and the most delightful farm-fresh ingredients from the rolling green mountains - my favorite meals in recent history came to life in the Vermont wilderness. Wildly excited to reacquaint myself with my sweet little kitchen back home and see what comes forth now that my little garden and market season are in full-swing.